Cheshire, Conn. — The Lane Construction Corporation, along with its parent company, Salini Impregilo, won a joint-venture contract valued at $524 million to construct a south Florida reservoir that serves as a critical step in preserving the region’s ecosystem. 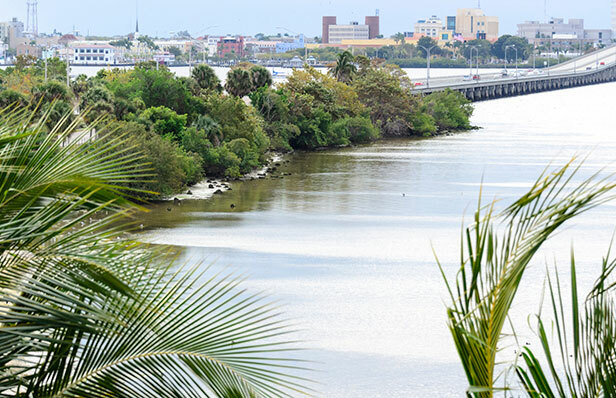 Over the years, the Caloosahatchee Estuary has been suffering due to impacts to natural water flows caused by residential and agricultural development in the area. The Caloosahatchee (C43) West Basin Storage Reservoir project will promote a healthy biological system through capture and controlled release of water – reducing the amount of freshwater flows to the estuary from basin runoff and harmful discharges from a nearby lake during wet periods and helping maintain a desirable minimum flow of fresh water to the estuary during dry periods. Work includes constructing an earth-fill dam with a perimeter of approximately 16.3 miles and a separator dam of 2.8 miles in length. The reservoir will encompass approximately 10,000 acres and store 170,000 acre-feet of water when full. Work is expected to start this summer and be completed in 2024. Lane, along with Salini Impregilo, is also working on water/wastewater megaprojects in the form of combined sewer overflows (CSOs) around the country. CSO tunnels are used in times of flooding when the tunnels will receive flows from sewer systems captured by diversion facilities. The tunnels store the water until they can convey it to wastewater treatment plants to be treated appropriately. Lane is also involved in multiple improvement and expansion packages at water reclamation and resource facilities in the Georgia/Tennessee area that will support local water needs and help decrease the risk of water pollution for surrounding communities. The company’s portfolio spans into other sectors such as highways and bridges, where it is constructing a section of the Wekiva Parkway in Florida, and replacing the Unionport Bridge in the Bronx, New York. In the rail, metro, and mass transit sector, it is working on the extension of the Purple Line light rail system Maryland.